Putin’s visit: “Strategic impetus” for future Russian-Hungarian relations? Yesterday the Russian ambassador to Hungary, Vladimir Sergeyev, when asked about Russian President Vladimir Putin’s visit to Hungary, basically repeated what Prime Minister Viktor Orbán has been telling the Hungarians in the last few days. 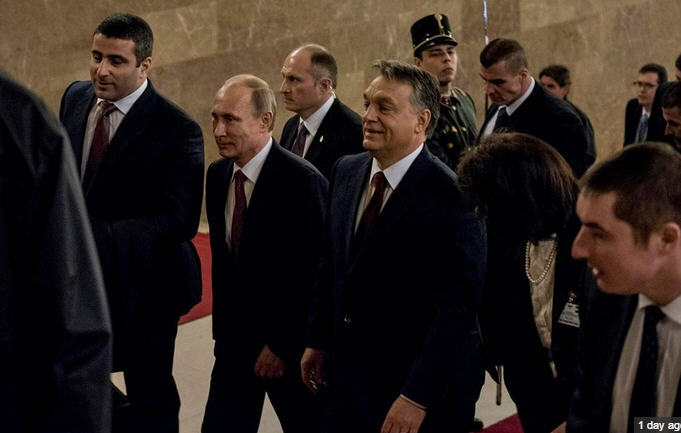 Putin’s visit to Budapest is nothing out of the ordinary. The main topic of the talks will be “the extension of a long-term contract” that will ensure the uninterrupted flow of natural gas from Russia to Hungary. The contract is due to expire this year, hence the urgency of the negotiations. Sergeyev emphasized that Putin’s visit has nothing whatsoever to do with “the overall situation in the world and the tension we now observe.” In addition to energy questions, the two leaders will discuss “cooperation in tourism and culture.” All this sounds utterly innocent until we get to the last sentence: that the talks are designed “to give a strategic impetus” to the future development of relations. 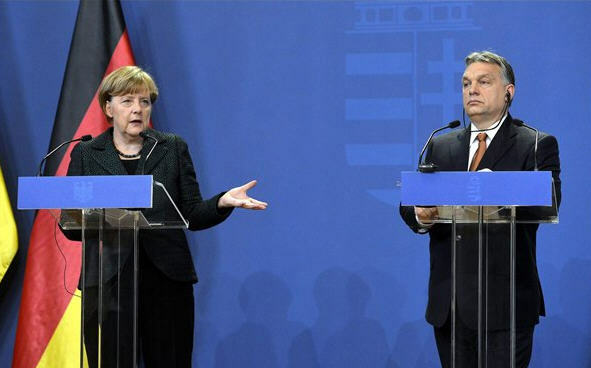 Viktor Orbán, although he is usually quite tight-mouthed, also indicated, perhaps unwittingly, that “over and above the question of energy, we must strive for a truly balanced relation. That’s why we invited and welcome President Putin.” These sentences indicate that the conversations will go beyond economic relations. Suspicion is growing in Budapest that the “urgent issue of the gas supply from Russia” is only an excuse for a visit by the Russian president. The real reason is what Ambassador Sergeyev called a “strategic impetus” for closer relations between the two countries. And that is a political, not an economic issue. Let’s return briefly to Lajos Simicska, the oligarch to whom Viktor Orbán owes his rise to power but who is no longer Orbán’s friend. In his interview with Magyar Narancs Simicska told the reporter that after the April elections he had a long conversation with Viktor Orbán, during which the prime minister outlined his “plans,” which Simicska did not like. Among other things, Orbán shared his views of Russian-Hungarian relations, which Simicska found odious. He expressed his disapproval of Orbán’s scheme, saying: “No, I don’t like it at all. I grew up at the time when the Soviet Union was still here and I don’t have pleasant memories of the activities of the Russians in Hungary. I can’t really see any difference between the behavior of the former Soviets and the political behavior of today’s Russians.” I am sure that Simicska’s anti-Russian feelings are genuine. He was known for his intense dislike of the Soviets even as a high school student. This antipathy most likely had something to do with his father’s involvement in the Revolution of 1956 and the reprisals the family suffered as a result. If his old friend Viktor had talked to him only about economic ties and a secure supply of gas, surely Simicska wouldn’t have reacted so negatively. No, it is becoming clear that the urgent negotiations about a long-term gas contract are only a smokescreen. Although it is true that the current agreement will expire at the end of June, the flow of gas will not stop. According to the present contract, Gazprom is obliged to supply gas to Hungary for at least two more years. Perhaps three. Fifteen years ago, when the contract was signed, energy consumption was higher than it is now. The contract specified a certain amount of natural gas between 2000 and 2015, but that amount hasn’t been used up. So why is this deal suddenly so important to Orbán? Why does he think that he will be able to get the best deal from Gazprom thanks to Putin’s good offices? What did Orbán promise to Putin in exchange for cheap gas? Will he get cheap gas and, if so, at what price? Will Rossatom’s building of the two new reactors at Paks be enough for Putin in return? Or will Orbán be ready to sell or rent the storage facilities he purchased earlier from the German firm E-On to Gazprom? Most important, why is Orbán so keen on a special deal with Gazprom when by now Russia’s monopoly on the gas supply to Europe is broken? Some observers even claim that it is not to Hungary’s advantage to sign a long-term contract with Russia because the current market price of natural gas is actually lower than what Hungary is paying for Russian gas. Hungary is paying between $350 and $400 for 1,000m³ of gas; on the open market it sells for $300. Moreover, as I already noted, Russia’s gas monopoly is a thing of the past. By now there are alternate pipelines through which western gas can reach Hungary. Although it is true that the completion of the pipeline between Slovakia and Hungary has been delayed due to technical problems on the Hungarian side, it should be ready very soon. Meanwhile gas has been steadily coming into the country from Austria and Croatia. The Orbán government in the last five years or so was not too eager to work either on alternative pipelines or on reducing the amount of gas used by Hungarian households, which is twice that of Austrian households. The reason is inadequate insulation. European Union directives oblige energy suppliers to improve the insulation of buildings, but for some strange reason the Orbán government is in no hurry to change the Hungarian law to allow such a solution. According to experts, people could save 30 to 50% on their gas bills if this essential repair work on windows and doors were done. Definitely more than the much touted 10% decrease in utility bills legislated by the government. Orbán has exaggerated the danger of running short of gas. He even indicated that if he is unsuccessful in his negotiations with Putin, Hungarians will freeze to death because there will be no gas to heat their houses and apartments. Of course, this is not only an outright lie but a stupid business tactic. If the situation is so desperate, the negotiating partner will have the upper hand in the negotiations, as several people pointed out. And with that I return to Russian Ambassador Sergeyev’s mysterious “strategic impetus” for future relations between the two countries. 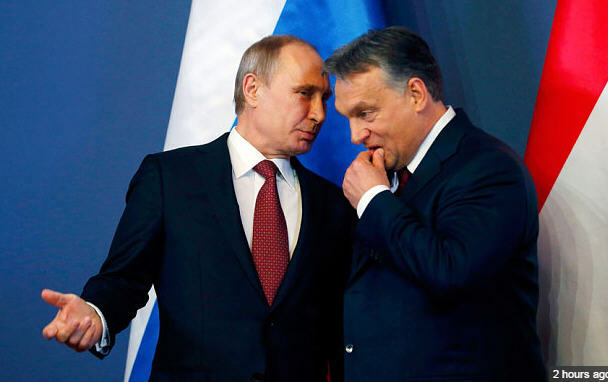 Suspicion is growing in Hungary that Orbán is making some kind of a political deal with Putin which may commit Hungary to a closer relationship in the future. 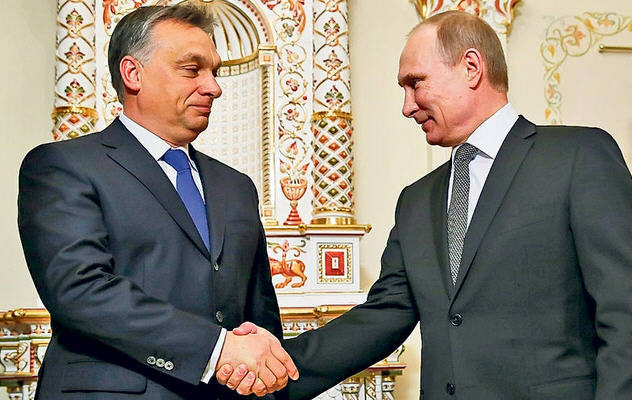 Miklós Hargitai of Népszabadság goes so far as to speculate that “it is not the decrease in our utilities bills that will depend on Putin but Orbán’s hold on power.” For whatever reason, the Russian card seems to be of the utmost importance to Hungary’s gambling mini-Putin. What a day! A shakeup–no, an earthquake–at Magyar Nemzet, Magyar Nemzet Online, HírTV, and Lánchíd Rádió, all part of Lajos Simicska’s media empire. This is not the place to go into all the gory details of this financial rescue operation. Suffice it to say that the young democrats received a piece of property from the Hungarian state for a party headquarters, which they subsequently sold. They invested the proceeds in all sorts of business ventures that failed, one after the other, leaving behind millions in company debt and unpaid value added taxes. It was Simicska and a lawyer friend of his, Csaba Schlecht, who came up with the master plan. They “sold” the failed companies to bogus individuals who couldn’t be traced. Among them were homeless people who for a few forints agreed to go to a notary and sign anything that was put in front of them. Two of these people became especially infamous. Simicska and Schlecht got hold of the passports of a Turkish guest worker in Germany, Ibrahim Kaya or, as he is known in Hungary, Kaya Ibrahim, and a Croat named Josip Tot. The scandal broke during the first Orbán government, and naturally the police made no serious effort to find the culprits. One could say that Fidesz was born in sin. For the better part of a year rumor had it that the relationship between Orbán and Simicska had soured. All sorts of hypotheses were put forth about the reason for their fallout. The most prevalent was that Orbán no longer wants to be beholden to one person and would like to widen the financial circle around Fidesz. Soon enough there were signs of Orbán’s efforts to loosen the ties with Simicska, and of Simicska’s response. By last fall a number of journalists who were absolutely devoted to Viktor Orbán were sacked at Magyar Nemzet. In early January we learned that Orbán no longer wants to help the Simicska media empire with advertisements by state companies. These media outlets have to stand on their own feet; he will throw his financial support behind the state television and radio. It was clear that something was brewing, but what really brought matters to a head was the announcement yesterday that the Hungarian government will substantially lower the advertisement tax on RTL Klub and, instead, every media outlet, even the smallest ones, will have to pay a 5% tax on their advertising revenues. That was the last straw for Simicska, who went on a rampage today. First, Simicska got in touch with Népszava last night and told the social democratic paper that “the media war will most likely become total” from here on. He told them that he considers the government’s proposed tax on advertisements “the latest attack against democracy.” In an interview with Origo he claimed that it is not money that is his first consideration, but “what will happen if one day Viktor Orbán scratches his head and decides that he will double the tax?” In brief, he is complaining about the same thing the German businessmen did to Angela Merkel. When Simicska really lost his cool was early afternoon after he learned from his own paper, Magyar Nemzet, that Gábor Liszkay, editor-in-chief of Magyar Nemzet and CEO of HírTV; Ottó Gajdics, editor-in-chief of Lánchíd Rádió; Gábor Élő, editor of Magyar Nemzet On Line; Péter Szikszai, deputy CEO of HírTV; Péter Csermely, deputy editor-in-chief of Magyar Nemzet; and Szabolcs Szerető, deputy editor-in-chief of Magyar Nemzet, had resigned. Their conscience, they said, does not allow them to work for a paper not in the service of Viktor Orbán. Well, at that point Simicska went berserk. The man who in the last twenty years hardly ever appeared in public and who never gave an interview suddenly gave interviews to everybody who phoned him. He answered the phone himself and, in response to questions, spewed an array of four-letter words. First he talked to József Nagy of Hír24 and allowed him to publish their recorded conversation. He accused Viktor Orbán, whom he repeatedly called “a prick,” of being behind the resignation of his top management. He also talked about a war between two men, one of whom will fall and that fall can be “physical,” which may mean death, but he is ready even for that. “They can kill me! They can shoot me or there will be a hit-and-run accident.” From an interview with Origo we learned that Simicska and Orbán haven’t talked to each other since last April. Perhaps the most revealing interview with Simicska was conducted by Magyar Narancs. Here he insisted that he “maximally disapproves of the government media policy” which in another interview he explained involves dividing media outlets into three categories: those who are absolutely loyal to Viktor Orbán and the government; those who here and there are critical; and the enemies. Of these three Orbán can tolerate only the absolute loyal ones and will systematically eliminate all the others. Simicska didn’t have much time to waste. As he said, Magyar Nemzet must be published tomorrow and he has to appoint a completely new top management. Moreover, Gábor Liszkay, editor-in-chief of Magyar Nemzet and CEO of HírTV, was a shareholder in these companies. Simicska had to buy him out. Within a couple of hours the deal was completed. Simicska apparently paid Liszkay 100 million forints or “thereabouts.” Gábor D. Horváth, the only top journalist who didn’t quit, became the editor-in-chief of Magyar Nemzet, and Simicska himself took on the role of CEO of HírTV. 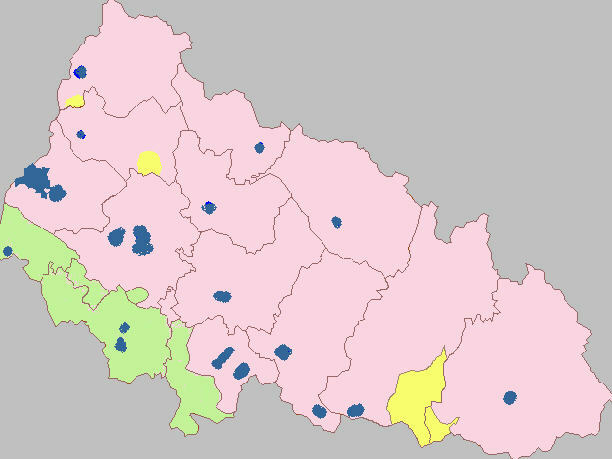 And who became the editor-in-chief of Lánchíd Rádió? You won’t believe it. 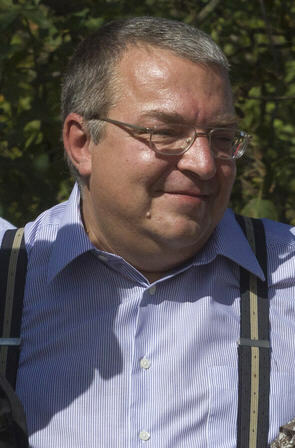 The same old Csaba Schlecht who managed to “sell” the bankrupt Fidesz companies to Ibrahim Kaya and Josip Tot. I’m looking forward to seeing the articles published in the “new” Magyar Nemzet tomorrow and the days after. 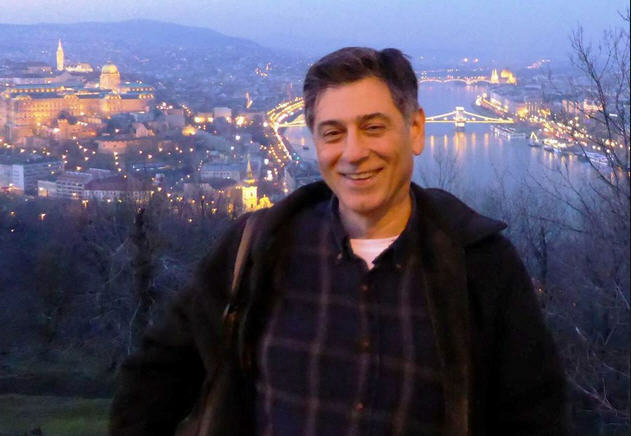 Will the pro-Russian and anti-American articles still appear, or will there be a noticeable change in the coverage of Hungary’s relations with Russia, the European Union, and the United States? If yes, then Simicska’s claim to having serious disagreements with Viktor Orbán’s foreign policy can be taken seriously. Otherwise, it is just a lot of hot air.